If you're buying a new camera and parting with a substantial chunk of cash, you'll want to know you're getting exactly what you expect – and that you're getting the best possible deal too. This probably sounds like an obvious one, but some retailers (particularly online) don't label their models as clearly as they ought to, which leaves you having to work out which version of a particular camera you're actually looking at. For example, if you fancy buying the Sony A7 on Amazon, you'll find it listed as the Sony ILCE7KB.CE. To add further confusion, some manufacturers name their models differently in other countries. 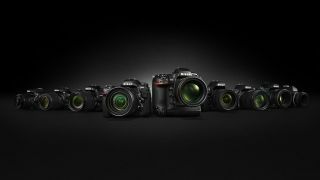 Canon, for example, names some of its more junior DSLRs differently in the US than it does in the UK, while Panasonic also frequently changes the series name or number, depending on where a camera is being sold. So, the Lumix TZ90 in the UK, for example, is actually the Lumix SZ70 in the US. Want to use a new camera with an older lens? New cameras often work with older optics, but the situation is different with each manufacturer. Canon's latest DSLR bodies tend to work with older EF lenses without issues, and things like autofocus and metering should work as expected. As long as you don't mount EF-S lenses onto EF bodies (which can cause damage to the camera), you should be fine. Nikon bodies often work well with older F-mount lenses, although some work with limitations and others may even damage the host camera. And Pentax has had so many revisions to its K-mount over the years there'll usually be something to bear in mind when using an older optic with a newer body. You may well want to use lenses from a different mount on a newer body, and this is often possible, although some bodies will naturally be more accommodating because of how they have been physically designed. If in doubt, check to see whether an adapter for the lens's system to the camera you plan on using exists, making sure you have the lens-to-camera order the right way round. People often change between camera systems, but it can be a bit of a nuisance if it means selling all of your bodies and lenses. For that reason, it's a good idea to think ahead and have a look at what else is in the range, such as models you may want to upgrade to at some point. Indeed, it may be the case that you end up opting for a different model with a more obvious upgrade path than one you originally intended to go for. Manufacturers sometimes release lens roadmaps (above) to show how a system will develop in the short term, with lens names and expected arrival times. These are particularly useful for newer systems with fewer lens options as it gives people more confidence to buy into a system that's not fully developed. Sometimes they may just mention what will shortly be available while announcing other products. Either way, just because there's no ultra-wide-angle, macro or super-telephoto lens to use with your intended purchase right, it doesn't mean it isn't coming. Keep and eye out for these announcements when manufacturers unveil new products and you're less likely to be disappointed as you come to expand your system in future. One thing a lot of people notice when moving up to a camera with more megapixels than they're used to is that their images lack some bite. On close inspection they may appear just a little soft or perhaps quite blurry. So why is this? It's often down to a number of things. First, you wouldn't have scrutinised images to the same extent on a camera with a lower-resolution sensor. Nothing about your lens has changed, of course, you're just examining details in a scene at a greater level than you have been. Such sensors can really tax a lens's capabilities, so any slight softness or optical aberrations that weren't visible before may now start to show. Also, any minor camera shake may now be more apparent in such images, so your technique needs to be spot on. Using a slightly faster shutter speed, or an effective image stabilisation system (whether it's in your body or lens) can help. Some image stabilisation systems also need a brief moment to settle for maximum effect, so take your time and try to press the shutter-release button down more gently. Some cameras that capture 4K video can only do so at 15fps. Some may even apply a crop factor to footage, making it harder to achieve wide-angle framing. Meanwhile, other cameras may have impressive continuous shooting rates, but they may not be able to maintain this for very long, making them less practical in use. Headline features may sound impressive but it pays to check the specifications carefully on the camera manufacturer's website so that you don't end up buying something that isn't fit for purpose. Making sure you have the right memory card will also help with recording high-resolution video or with faster continuous shooting rates, so check what the manufacturer recommends in the camera's manual. You can typically view these online before you buy, again through the manufacturer's website. Just because your camera's manufacturer does not offer a specific accessory for use with your model, it doesn't mean you can't find it elsewhere. The most popular systems tend to attract a variety of third-party accessory options that are specific to your system, from camera grips to improve handling to lens adapters to provide cross-system compatibility. Some of these accessories may bring surprising benefits. The Metabones Speed Booster (above), for example, not only allows you to mount a lens from one system onto the body from another, but it also gives you a wider maximum aperture than what the lens would normally allow. Cashback (also know as a rebate) is regularly offered on cameras, and it's not always limited to older models that manufacturers are simply trying to clear. To be eligible, however, you may have to jump through a few hoops. You will typically have to buy your model through an approved retailer, during a specific timeframe, and you'll have to fill out a form with your proof of purchase. It may also be the case that you get your money back on a pre-loaded credit card rather than as bank transfer or cheque. In any case, it's typically worth the effort, particularly as cashback sums can run into three figures. Every new camera should come with a warranty of some kind but it's not uncommon for manufacturers to offer an extended warranty once you register a camera (or lens) online. So, whereas you may have a year a standard, registering the camera on the company's website may give you an additional year, if not longer. This is sometimes indicated on the camera's packaging, or on the website from which you buy your model, although there may also be a card inside the box with details on this. You'll typically need you camera's serial number and details from your receipt, so make sure to keep the latter in a safe place. It's also often possible to buy these warranties separately through the manufacturer's website, but you may not find these to be good value.